Vasu Atluri has contributed to and led a wide variety of research and development projects and technology transfers to high volume manufacturing, during his more than 20-year career in the semiconductor industry, meeting all product performance targets and project timelines. He has gained valuable experience in team, project, and intellectual property management, and technology benchmarking and certification during his career. He has held technical and people management positions at Motorola Inc., Intel Corporation, Protek Devices, University of Arizona, and Arizona State University. He earned a PhD and MS in materials science and engineering and a MS in metallurgical engineering from the University of Arizona and a Bachelors of Technology in chemical engineering from Osmania University in India. He has published over 30 papers in technical journal and conference proceedings and holds multiple US patents. Furthermore, for over 20 years, he has held multiple leadership positions in Phoenix area and international IEEE committees. 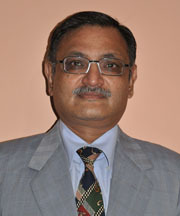 He is a senior member of the IEEE. 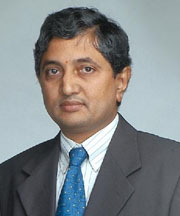 PR Patel has 25 years experience working at Intel Corporation in a variety of engineering and management positions including IC design, product and test engineering, product development, validation, and package research and development, at various sites in the USA, Germany, Japan, Malaysia, and most recently India. He is a senior member of the IEEE, holds 18 patents, and graduated from Michigan Technological University, Houghton, Michigan with a BSc in electrical engineering ('79) and MS in electrical engineering ('82). 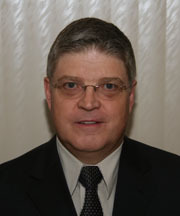 Chuck Weitzel has contributed to and led a wide variety of R&D projects and technology transfers to manufacturing focusing on advanced compound semiconductor devices employing GaAs, GaN, and SiC for RF and switch-mode power applications during his 35-year career in the semiconductor industry. In these varied capacities he gained valuable experience in project and intellectual property management, technology benchmarking and certification, and US government contracts. In particular he led the effort to certify GaAs FET and HBT technologies in Motorola/Freescale manufacturing facilities meeting all product performance targets and project timelines. For 25 years he has held leadership positions in international and Phoenix area IEEE committees, and since 2000 has been a contributor to the International Technology Roadmap for Semiconductors (ITRS) and the International Electronic Manufacturing Initiative (iNEMI) roadmaps. He holds a PhD in electrical engineering from NC State University, published over 80 technical papers and holds 42 US patents. 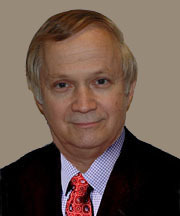 Shane Johnson is an internationally recognized expert in optoelectronic devices and semiconductor materials growth. 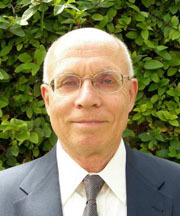 His areas of research provides a wide range of expertise for the development of solar energy conversion systems and include energy harvesting systems, high-efficiency multijunction photovoltaics, ultrahigh-efficiency light emitting diodes, and IR and THz lasers for communication, sensing, and imaging applications. He is a senior member of the Institute of Electrical and Electronics Engineers (IEEE) and a member of the American Physical Society, the IEEE Photonics Society, and SPIE-The International Society for Optical Engineering. He has published over 75 articles in refereed journals, contributed to over 160 conference papers, abstracts, and invited presentations, and has several issued US patents. He holds a BSc in physics from Simon Fraser University and a PhD in physics from the University of British Columbia. James Drye has 35 years experience in packaging, reliability, and testing in the semiconductor industry. He served as a distinguished member of the technical staff and manager of the Advanced Test and Reliability Lab for Motorola and Freescale Semiconductor. His areas of expertise include mechanical & electrical design and the fabrication of automated test equipment, design of experiment problem solving, and statistical analysis. He has been a senior member of the IEEE and the IEEE Components, Packaging & Manufacturing Technology Society for over 19 years. 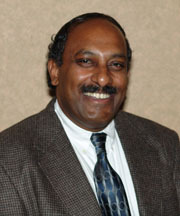 He holds 12 US patents and holds a BSc in electrical engineering from Arizona State University. Haranath Pinnamaneni has a diversified background managing projects in information technology, business process re-engineering and non-converntional energy plants. He has more than 20 years experience delivering software projects in distributed global delivery model, working with various fortune 500 companies in the areas of financial services and telecommunications. His expertise includes managing large teams (500+ persons) to deliver high quality products/services in time and with in budget. Earlier in his career he worked with small businesses as re-engineering consultant to streamline their accounting, payroll, invoicing, inventory management processes and creation of MIS systems. He is passionate about non-conventional energy projects, and worked closely in planning and executing of a bio-mass power plant in south India. He will help set up offshore operations and marketing in Asia Pacific region. He has a MS in metallurgical engineering from the University of Michigan, and a MS in computer science from University of Arizona, and a Bachelors of Technology in metallurgical engineering from Regional Engineering College, Warangal, India. © 2009 Renavitas Technologies LLC.